For our patients' convenience, forms and informative documents are posted below. If you are a new patient, print and complete the following forms before your appointment and give them to our office manager upon your arrival. This will ensure a timely and smooth first visit. If you are scheduled for or have recently had oral surgery, such as an extraction, the following document contains post-operative care instructions. Interested in a procedure and want to know more? Read up on various procedures with the below documents. 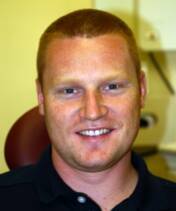 Click here for important information about Hamilton Dental's cancellation and payment policies.